In two weeks, cult streetwear shop and brand Pigalle brings out a basketball-themed capsule collection with Nike. It’s their first joint venture in clothing, but not their first adventure: in 2009, they built a court together in the Parisian brand’s 18th arrondissement neighbourhood. Now carrying the scuffs of half a decade’s ball playing, their first “x” drops. 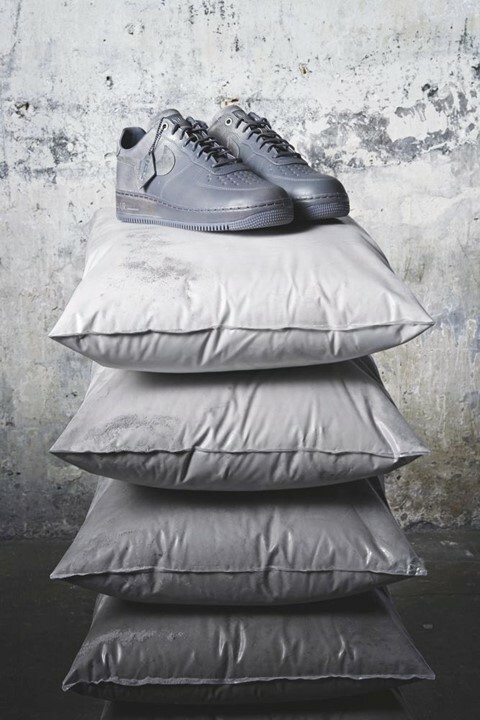 Inspired by the toil and wear of a well-worn in kit, the jersey, hat, shorts and good old Air Force 1s – “A fashion shoe, and a performance bball shoe for the playground”, in the words of Stéphane Ashpool – appear dyed, painted and rubbed down. Fashion and street, sport and art: it’s the latest smart play from the company that has dressed A$AP Rocky and their local Goutte d'Or basketball team. We caught up with the coach, teen pro and creative director Ashpool about the courts where you get taught. Dazed: How did you got into basketball? 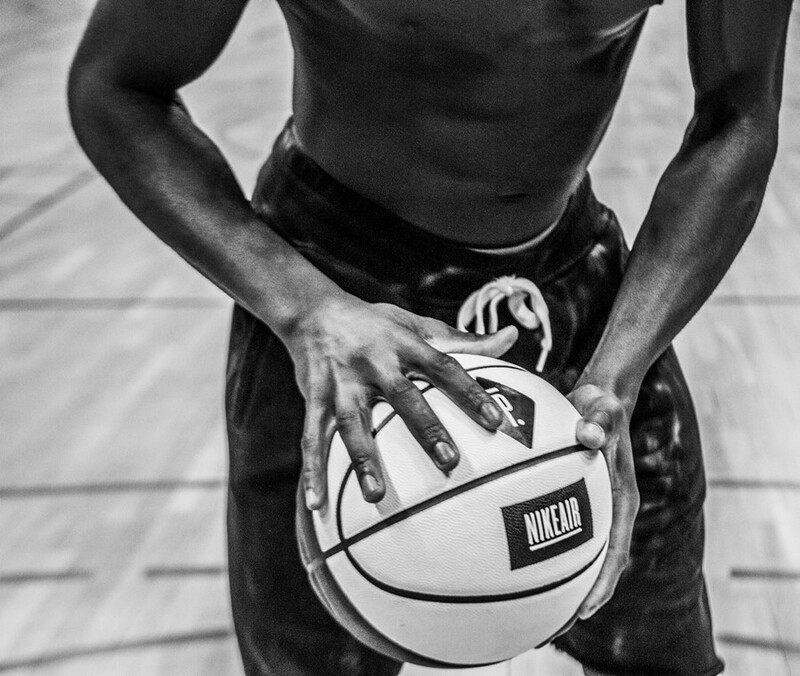 Stéphane: Basketball entered in my life when I was five years old, at primary school. There was just one basket, with a soccer game happening underneath it. I just took a ball and ran with it, and played for about 10 years for the Paris team, at the highest level. Though I didn’t want to join the NBA since I was 16, and I decided to concentrate on the studio since my early 20s, I still play all the time, every Saturdays and Sunday. Basketball is a very stylish sport. Stéphane: It is the most stylish sport, because it was always mixed up with the whole hip-hop culture. It’s a game that you play quite fast, you have momentum, your body’s quite open and you jump and run. Mixing this with the clothes and the music together, it gives something very interesting, definitely. What can you tell me about community cohesion and multiculturalism? Stéphane: Basketball is a free sport and sport is free in general. As soon as you have a ball you can play with us, you are in control and your skin colour doesn’t matter, and all those clichés. But those clichés are quite true actually when it come to sport. I was living quite a street type of life, but at the same time I had my parents who were artists and living surrounded by these amazing crazy stylish gay people so I am born into this different melting pot of ethnicity and culture: it’s really something I live for! I just answered that in rather a large way, but then again, I can speak about basketball in a large way. Could you tell me about the court you and Nike set up in 2009? Stéphane: We had a park near a parking lot, and while Nike and us were working together on something else, they said “Let’s try to renovate the court and make it more clean” so that people from the neighbourhood could use it safely. If you’re passionate about basketball, having your own court is like having your own amusement park. What about basketball style – how did sport style influence you? Stéphane: A lot! The Pigalle look is a mix of the gentlemen with the relaxed sports look. Basketball is a stylish sport: you have a headband, a wristband and all these elements. But also, not just the professional looks: how you see it worn on the playground is amazing. I really liked when players pulled the other side of their jersey on, a tshirt flipped on the wrong side, or you cut the sleeves. What I like also in basketball is that it’s a sport that we play at all times: sometimes in winter, so you have many layers so you have the jogging pants with the shorts on top, to express that you are a basketball player. Because if you come on the court just with the jogging pants, someone is going to ask: ‘Are you going to change?’ But if you come with your shorts on top, or if you have a t shirt with a tank top on top: this is what I like in general. Do you ever talk about ball to A$AP Rocky? Stéphane: We speak about basketball a lot, he follows the game so. He likes the New York Knicks and used to like the Bulls a lot. We spoke more about fashion or energy or music, as I said before it’s the movement, so it’s all mixed together. 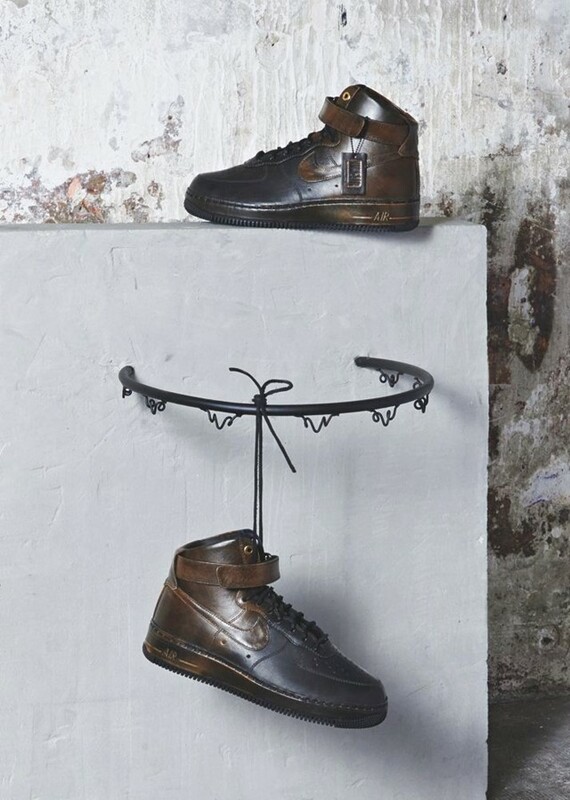 Tell me about this Nike collaboration. Stéphane: I’ve worked with Nike in one way or another for a while. Seven or eight years now: time goes fast. They came out with the idea, it’s the first of a few. It’s about near where I’m born and it’s the shoe that I was wearing on the court when I came up. We did the shoes but we also have a ball, two sets of jerseys, T shirts and we have hats, it’s just the beginning no? What did you do in the process of designing the collection? Stéphane: It is the story of time passing: I love accumulation of stuff and the marking of things that take place. We died the jerseysa and added layers of colour to the shoes, only to take them off like a patina or a rubbing. I always like stuff that is a bit past or used: for the first one, it was very important that I show my age which is more adult, and less kid-like. I think it something someone who is in fashion would love to wear, hopefully some of the kids from over the road too.